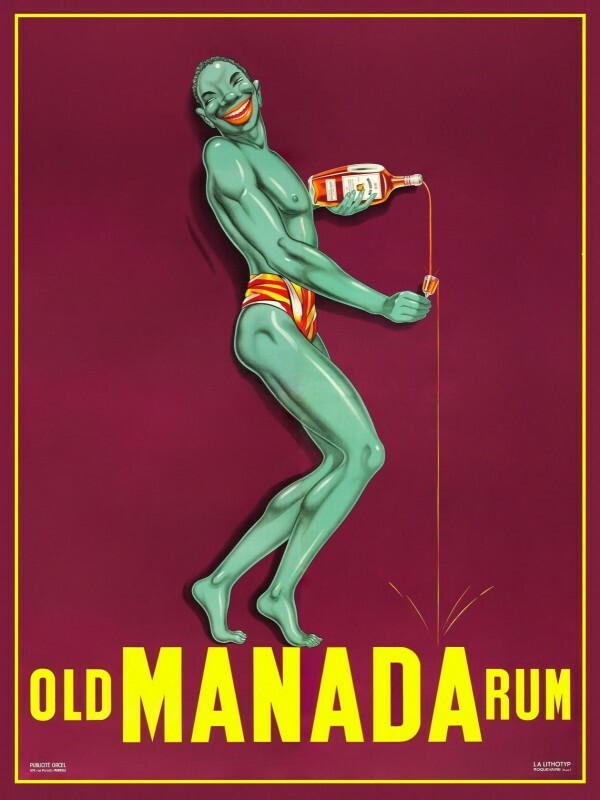 France's colorful trade ads were exemplified by this Old Manada Rum poster, which employs the well-recognized Green Fairy as its dominant image. 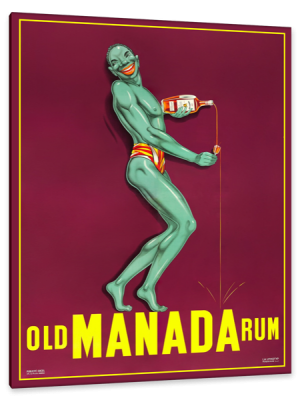 In a design that owes much to the groundbreaking work of Cappiello, a stream of the Nubian's rum flows from his tiny glass, into the poster's lower third. The result: A vibrant image that brought smiles to Parisians' faces.